Last year, my friend started the business of her dreams. She used her personal savings to fund early brainstorm sessions, computers, and the UX designer she needed to get started. She did a lot of things right to get her small business of the ground. Something she did wrong? Her accounting. She kept track of all of these expenses by sticking the receipts into the bottom drawer of her desk every couple of days. A few months in, my friend decides it's now time to open a business bank account. She's been shuffling between various credit and debit cards to pay vendors and employees and she had late fees and interest piling up. Around tax time she called in a favor to a mutual friend who was an accounting major in college: "Will you help me deal with my mess?" She can't remember which receipts are personal or business-related, so her financial history and profit-and-loss reports are...unreliable. She says she's more organized this year, but she still doesn't have a real accounting system in place for her small business. When I began connecting with entrepreneurs through my work at inDinero, I learned how common it is for new small businesses to miss the mark when it comes to accounting. 1. Know the costs. Once you conceive of your small business idea, write a list of all the costs you will need to account for. Don't forget costs like preparing a business plan or renting office space or, yes, outsourcing your accounting—even if your business isn't officially established. This will help you identify your business expenses and prevent you from mistaking personal expenses for business expenses in the future. 2. Open business accounts ASAP. At inDinero, we advise all entrepreneurs to open a separate business checking and savings account immediately after starting a business, however small. This crucial step enables you to keep your small business accounts simple, separate, and straightforward. 3. Use the right card. No excuses. Accidentally using your business credit or debit card for personal expenses creates more work for you. If you have trouble remembering which card to use, mark the correct card or consider opening a card at a different bank to ensure you won't have to untangle the mess later. Err on the side of caution if you are unsure, or consult with a professional (see below). 4. The business card is not your income. As a small business owner who may or may not be taking regular withdrawals to earn a monthly income, it's easy to think of personal purchases on the business card as your income. This is bad. Do not make this a habit. When you need to take an "owner's draw," as it's often called, always make the transfer for the amount you need from your business account to your personal account. Here's an example of an iffy situation: You have some checks payable to your business, but you are planning on making an owner's draw transfer shortly. So, you deposit the business checks directly to your personal account. This may save a few minutes now, but it will create an accounting mess that will come back to haunt your small business at tax time. 5. Go paperless. The age of small business accounting via receipt hoarding in shoeboxes is coming to an end. Every new entrepreneurs should consider the benefits of running a paperless office. 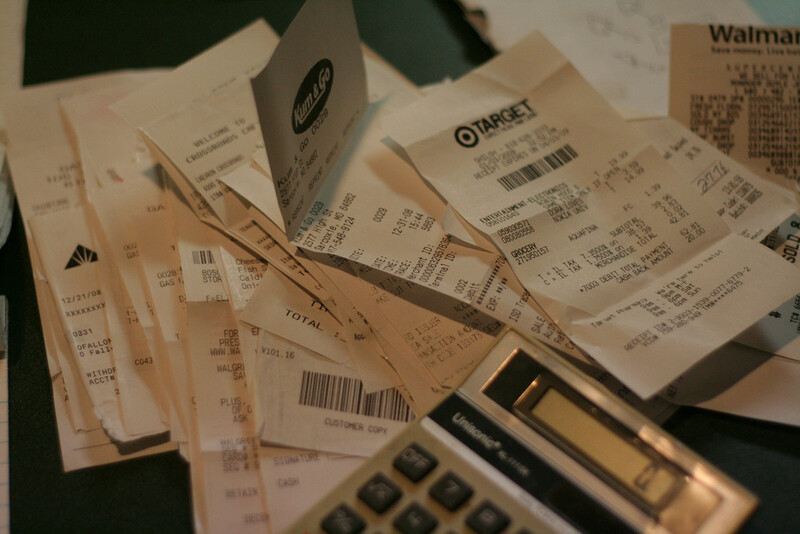 inDinero can be a key component of this (and we're great at managing receipts). 6. Embrace electronic payments and online invoicing for your small business accounting. Bill payment nowadays is made easy with automatic debit, and it saves business owners time and relieves them of having to remember to pay bills. But a surprising number of small business owners are still sending their clients paper invoices and waiting months to get paid, which is why new entrepreneurs should seriously consider online invoicing and offering electronic payment. At inDinero, we've met business owners who have even managed to completely eradicate paper check writing, and it's made their books that much simpler. 7. Recruit great advisors. New entrepreneurs have lots of questions about their small business accounting, and that's okay! Don't be afraid to ask for help. Quick access to a team of financial experts can make all the difference when you're starting a business. Don't wait until tax time or a legal debacle to start making connections with accounting professionals; build relationships early, and you'll benefit not only with their advice but also their networks in the long run. See how inDinero takes the accounting burden away from small businesses. A recent graduate of Brown University, Jake began consulting with growing businesses in September. He encourages new businesses to start good accounting practices from day one and is available at jake.moffett@indinero.com or 503-594-4341.